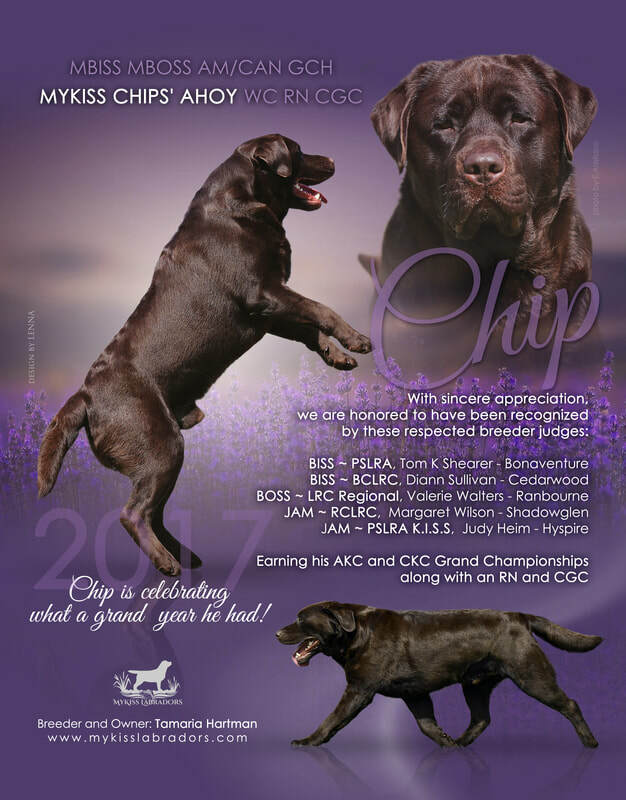 Check out CHIP"S latest ad in the Spring issue of the Labrador Quarterly! Chip earned both of his Championships prior to the age of 2 all Breeder/Owner Handled. ​All of his AKC points were earned from the Puppy and Bred-By classes. I am so proud to have bred this amazing dog, and forever grateful to Jessica Smith of Westlane Labradors for sharing his dam with me! He continues to exceed all my wildest expectations in the ring - both conformation and Rally, the field and now the whelping box. He is consistently passing on his lovely, balanced structure, correct dense coat with dark, rich color and his wonderful temperament. He is a joy to live with, always happy, ready to please and eager to retrieve. And always a gentleman and patient with the girls and youngsters alike.